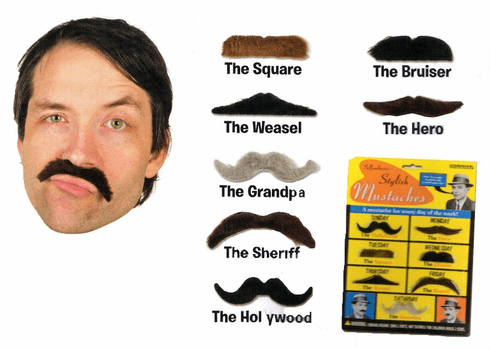 Change up your style with these STYLISH MUSTACHES. Lifelike synthetic hair with adhesive backing. Seven different styles on each card.